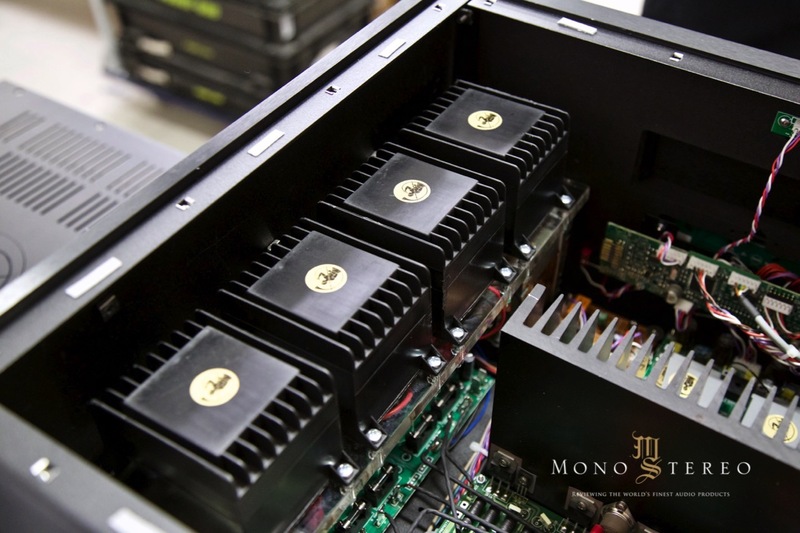 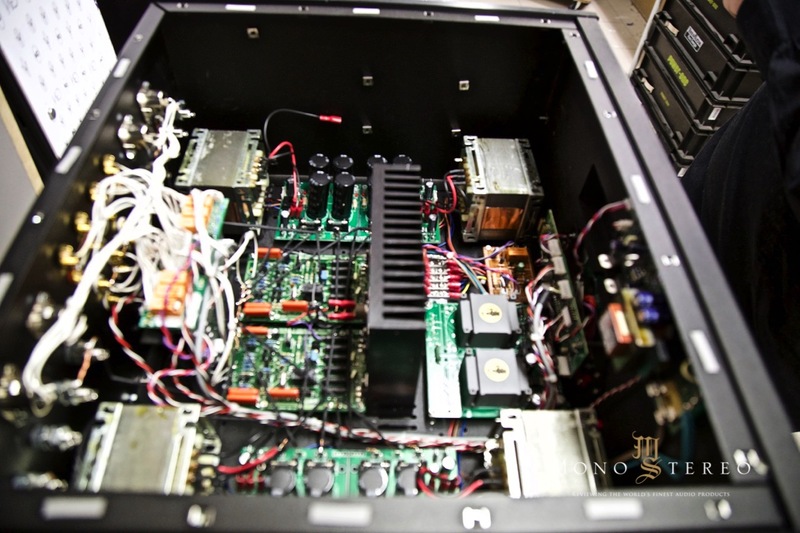 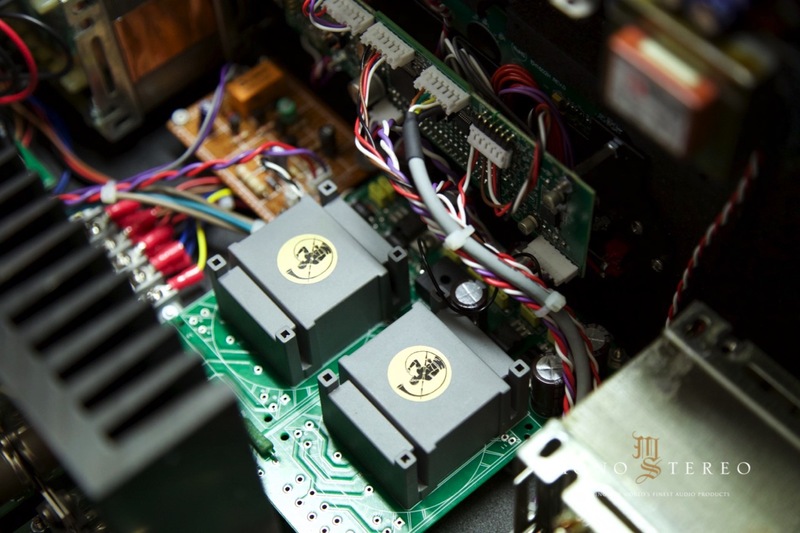 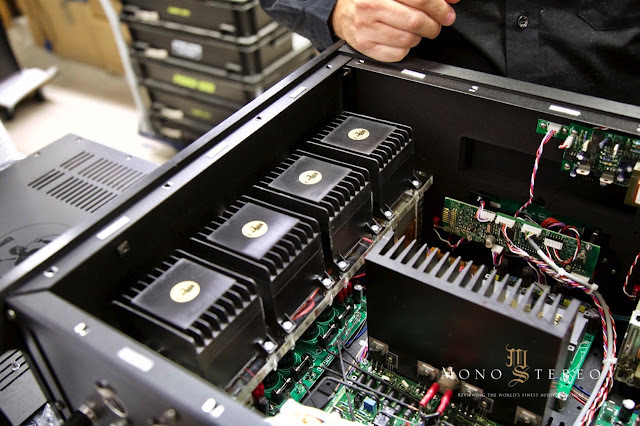 Here’s a peek under the hood of Gold Note Demidoff Diamond Anniversary integrated amplifier. 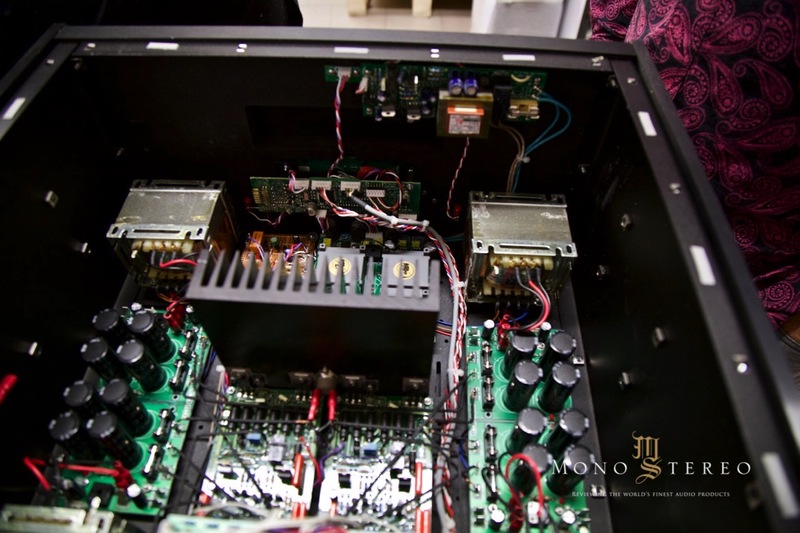 This two box amplifier is something very different. 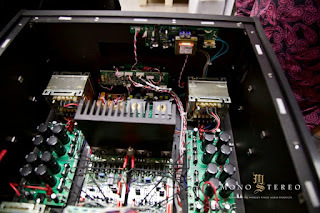 It takes more then two hundred hours of skillful work to be created, features more than 250 m of point to point soldered wires and implements Gold Note Mirror-Amp™ design, which deploys a gain stage through a proprietary cascode differential amplifier. 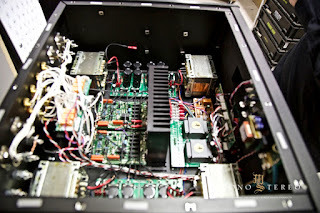 Power supply is made up of eighteen handcrafted transformers specifically manufactured to strict specification to ensure the highest quality in every single stage of the amp featuring a proprietary inductive design for a virtual battery effect and extremely low AC interferences.